Exploring roads less traveled can oftentimes be better done on two wheels rather than four. 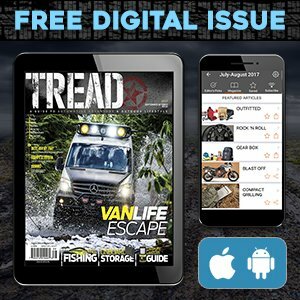 The untamed wilderness can be more difficult to access in larger vehicles, whereas lightweight, off-road-capable motorcycles can take you to less accessible places. There’s a lot to be said about riding exposed to the elements, good and bad, but mostly good—it’s all a part of the thrill of adventure. For years, BMW’s F 800 GS Adventure has offered adventure motorcyclists enhanced performance over tough terrain, even in the most remote corners of the planet. And there’s a reason why you’ll come across a GS Adventure on most any trail: It’s packed full of technology that increases its safety, durability and capability. Let’s take a closer look. A unique feature found on the GS Adventure is the mass balance capability of its two-cylinder engine, by means of an additional connecting rod. This extra connecting rod compensates for first- and second-order inertia forces, ensuring that the engine runs as smooth as butter, with a very low level of vibration. Long-distance riders can especially appreciate this feature. 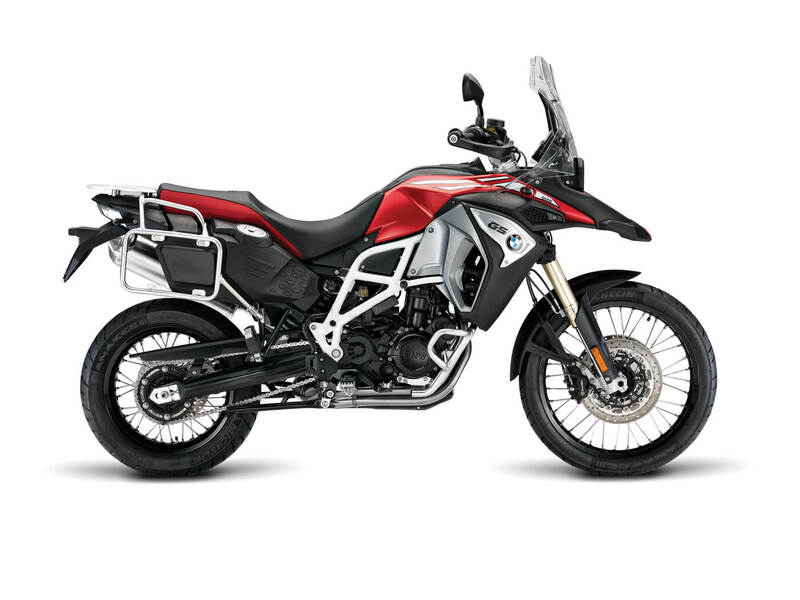 Adventure riders will appreciate its electronic rider-assist features, which include ABS brakes, BMW’s Electronic Suspension Adjustment (ESA) and Automatic Stability Control (ASC). 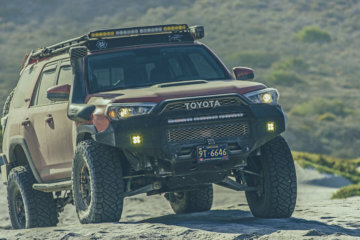 ESA allows you to vary the suspension and damping characteristics of the front- and rear-suspension strut at the push of a button, which is a godsend for off-road riders. ASC, when activated, effectively reduces uncontrolled spin of the rear wheel, which improves ride stability on wet or bumpy surfaces. 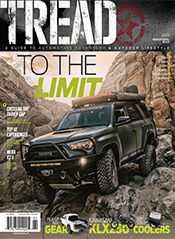 For long-haul, coarse-terrain riders, an optional “Enduro mode,” which optimizes ASC traction control and ABS on loose surfaces, is also available. 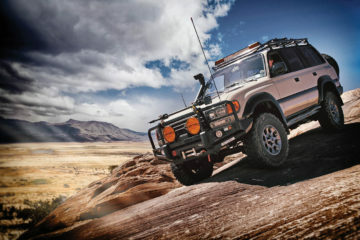 The GS Adventure’s off-road capability starts with its purpose-engineered suspension. Spring travel of 9.1 inches at the front, and 8.5 inches at the rear, allow it to ride over just about any terrain. Its double-sided swinging arm is made of aluminum to help cut down on weight. A WAD suspension strut, which increases power during the compression stage, also allows the damping curve at both the rebound and the compression stage to be adjusted and tailored for your particular use or riding style. For better balance and enhanced rider control, which is especially needed on unimproved roads, the engine is integrated as a load-bearing element. At its foundation, you’ll find a robust torsion-resistant tubular steel frame. 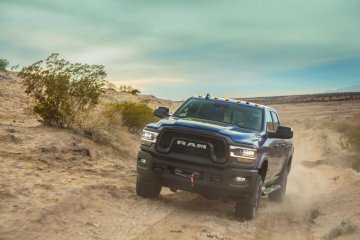 Its 85 horsepower peaks at 7,500rpm, and 61 ft. lbs. of torque maxes out at 5,750 rpm. Power comes from a 798cc water-cooled, double-overhead cam, two-cylinder four-stroke engine. To get you over steep grades, the GS Adventure is driven by a chain driven constant-mesh six-speed gearbox, which is equipped with straight-cut gears. Its multi-plate wet clutch is mechanically operated. On open roads, the GS Adventure is rated for a maximum speed of 120 miles per hour. The BMW sips petrol at about 55 miles per gallon and is fitted with a generous 6.33-gallon tank. This gives you well over 300 miles of range between fill-ups. GS Adventure models come standard with off-road tires, so you’re ready to go directly from the dealership. Stopping power is provided up front by 300mm-diameter, dual-floating disc brakes, with dual-piston floating calipers. The rear is supported by a single 265mm-diameter disc brake, with a single-piston floating caliper. New for 2017, you’ll find BMW Motorrad’s ABS system comes as standard equipment on the F 800 GS Adventure. The ABS feature can be switched off by the rider if desired. Other safety features are factory-installed (described under Tech) ASC and ESA, which both are optional and great for adventure moto riders. For rider comfort and convenience, an available comfort equipment package can be selected that includes heated grips, an on-board computer, and a center stand. With two-wheeled adventure in mind, BMW went ahead and outfitted the F800 GS Adventure, as standard from the factory, with a high-profile windshield for rider protection and comfort. Its expanded-capacity gas tank is fitted with a combined fuel-tank protector, as well. To help haul gear on our travels, standard saddlebag mountings allow for mounting of hard or soft cases. BMW actually offers an optional aluminum luggage system that fits perfectly onto the saddlebag mounts. 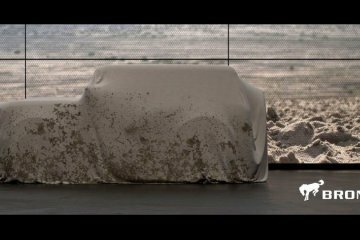 *2016 base price; 2017 model pricing unavailable at press time. Shipping, taxes, and fees not included. 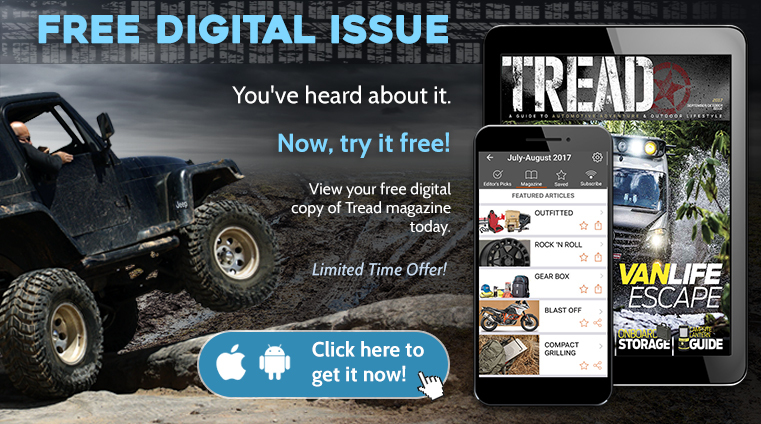 Editor’s Note: A version of this article first appeared in the winter 2016 print issue of Tread Magazine.